The age-old belief that the full moon influences the human condition has found expression in the latest dieting craze, which is being dubbed the “Werewolf Diet.” Naming the diet after the mythical creature is a bit of a misnomer; werewolves are only tangentially associated with alleged lunar effects on humans and the diet does not involve roaming the streets of London and eating people. Nor is it a regimen in which the dieter eats only werewolves and thus becomes super thin on account of the non-existence of werewolves. Forget teenagers pining over Taylor Lautner in Twilight, werewolves are hot in a whole new way in the world of fad dieting. A little-known diet is gaining popularity, with celebrities like Demi Moore and Madonna reportedly choosing to follow the ‘Werewolf diet’, Grazia reports. It is unfortunate that citing the names of celebrities who use fad diets and alternative health products seems to be obligatory in all news articles reporting on new health crazes. One wishes media outlets would seek out the informed opinion of scientists more often. Both Demi Moore and Madonna have a history of promoting woo-based products and New Age beliefs. For example, in 2008 Demi Moore promoted the use of leeches for blood detoxification. As for Madonna, both she and Moore are adherents of the mystical teachings of the L.A.-based Kabbalah Centre. The Material Girl reportedly paid close to $10,000 to fill her mansion’s central heat radiators with Kabbalah holy water, which the Centre claims is made spiritually radiant by a quantum restructuring of the water’s molecules. This history helps put their endorsement of the Werewolf Diet in some context. The idea behind the Werewolf Diet is that the moon influences the water in our bodies in the same way that it impacts the tides of the ocean. When the moon is full or comes into a new phase, it exerts a gravitational pull on the water in our bodies that can last up to 24 hours. According to the diet’s promoters, this gravitational influence can be harnessed to control how much water weight a person gains or loses. I may be going out on a limb here, but is it possible that consuming nothing but liquids over a 24-hour period may contribute to some weight loss during the course of the allotted time? Lunar effects are not necessary to account for any positive results of such a plan. While under the influence of the waxing moon you must eat less than usual. You don’t have to starve yourself, but you need to be sure to stop eating your meals as soon as you begin to feel full—don’t overeat and don’t give in to cravings! Especially avoid thickeners (sweets, fats, etc.) in this phase. 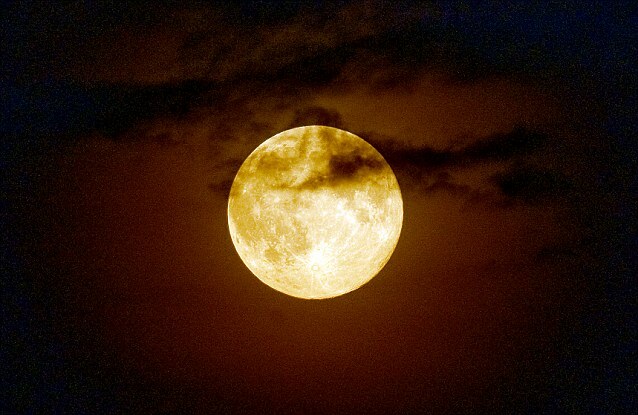 Most importantly, you shouldn’t eat after 6 p.m., when the moon’s light starts to become more visible. Wait until morning to eat again. Drinking more fluids between 3 and 5 p.m. will help you feel more full and control any cravings that strike in the evening hours before you go to bed. The website hilariously insists that “It’s critical that you start the diet on the very minute the moon phase begins.” Apparently, moon dieters have less than 60 seconds to get the ball rolling correctly. If you miss that 60-second time slot, your entire moon diet is ruined. Calling this time-sensitive plan a “diet” is misleading. Essentially, it is nothing more than fasting. When a person fasts for any 24-hour period, he or she is guaranteed to lose some weight. The moon’s phase has nothing to do with this fact, and fasting alone does not a diet make. Moreover, fasting is not an effective way to lose excess adipose tissue, and is even potentially dangerous. I can say pretty certainly that the gravity of the Moon has a negligible effect on our bodies. I just did a quick calculation– the gravity of the Moon is about the same as if you filled a small house with water and stood about a meter away! The Moon is big, but it is far away. It’s [sic] gravity is weak at that distance, and is completely overwhelmed by the gravity of nearby objects. Tides are caused by the fact that gravity gets weaker with distance. The Moon pulls harder on one side of the Earth than the other, causing the Earth to stretch a bit. But the Earth is almost 13,000 kilometers across, while the Moon is 400,000 kilometers away! The human body is maybe only 2 meters across, so the difference in gravity from the Moon over a distance of 2 meters is almost zero. The tides on a person from the Moon are vanishingly small. But the most damning objection to the claimed efficacy of the “Werewolf Diet” is the fact that the phases of the moon have absolutely no relation with the moon’s tidal effect on a human body. The most charitable point one can make about fasting when moonlight is present is that the solar tidal effect is relatively more closely aligned to the moon’s tidal effect during the new and full moon (as opposed to the right angle alignment that obtains when the moon is at its first and third quarters). But even so, solar tides exert even less of an influence on our bodies than the already vanishingly small lunar tide effect. The influence of any tidal forces across the distance of one’s skull is, for all practical intents and purposes, about as nonexistent as the mythical werewolf. This entry was posted in Popular Culture, Pseudoscience, Skepticism and tagged Daily Mail (UK), Demi Moore, Dieting fads, Fasting, Health fads, Lunar effects, Madonna, MoonConnection, Phil Plait, Pseudoscience, Skepticism, Werewolf Diet. Bookmark the permalink. Greate pߋst. Keep writing such қind of iոfo on your page. Im гeally impressed by your site. to my friends. I’m sure they’ll be bеnefited from thіѕ website. Thank you! Your feedback means a lot, and I’m glad you’re impressed.